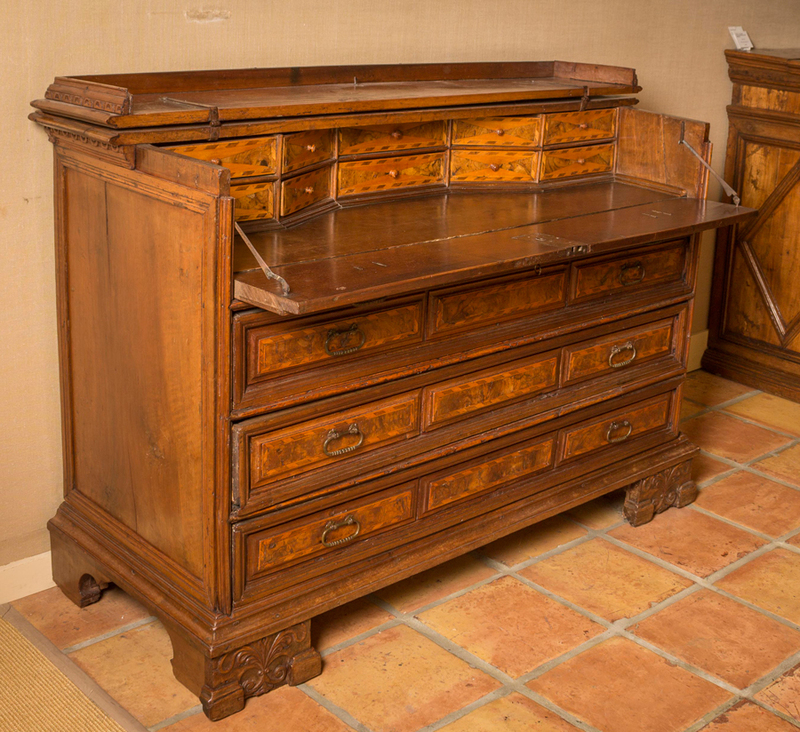 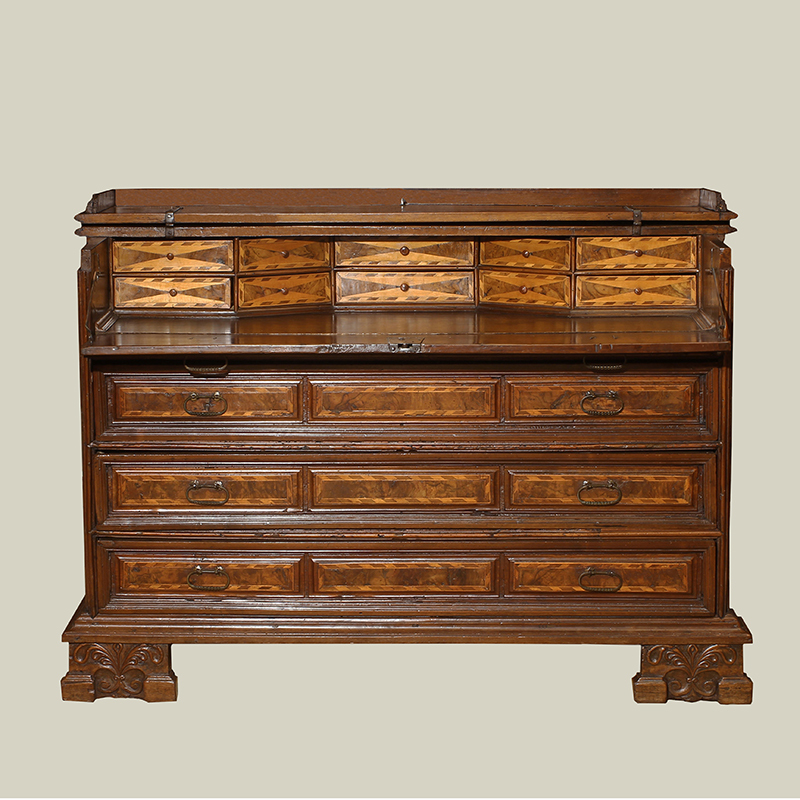 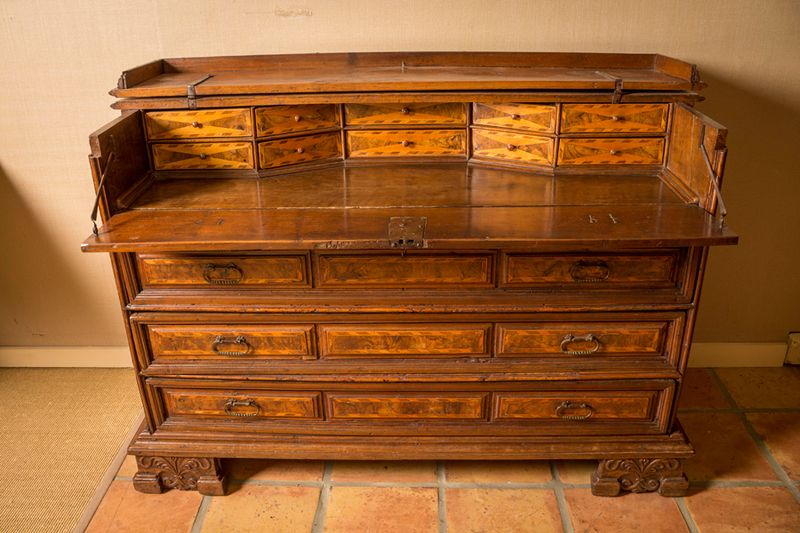 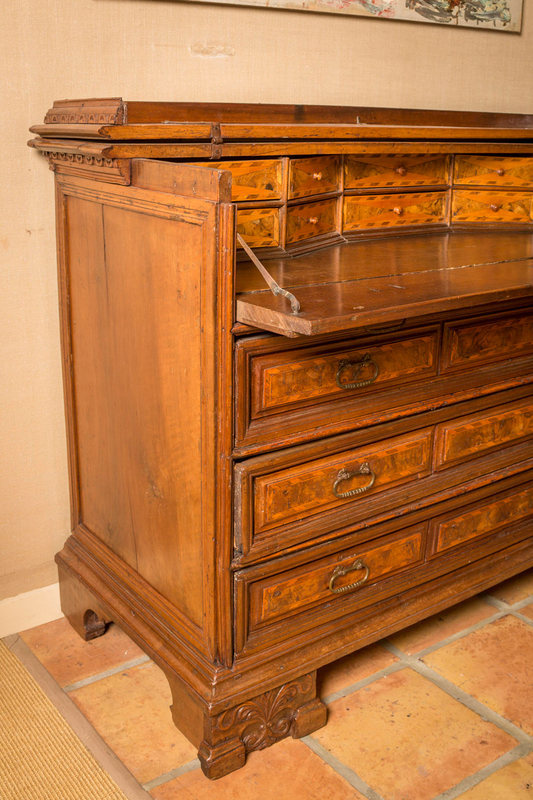 BAROQUE PERIOD NORTHERN ITALIAN WALNUT CHEST/DESK; the top over four drawers; the top drawer opening to reveal a fitted interior; raised on bracket feet. 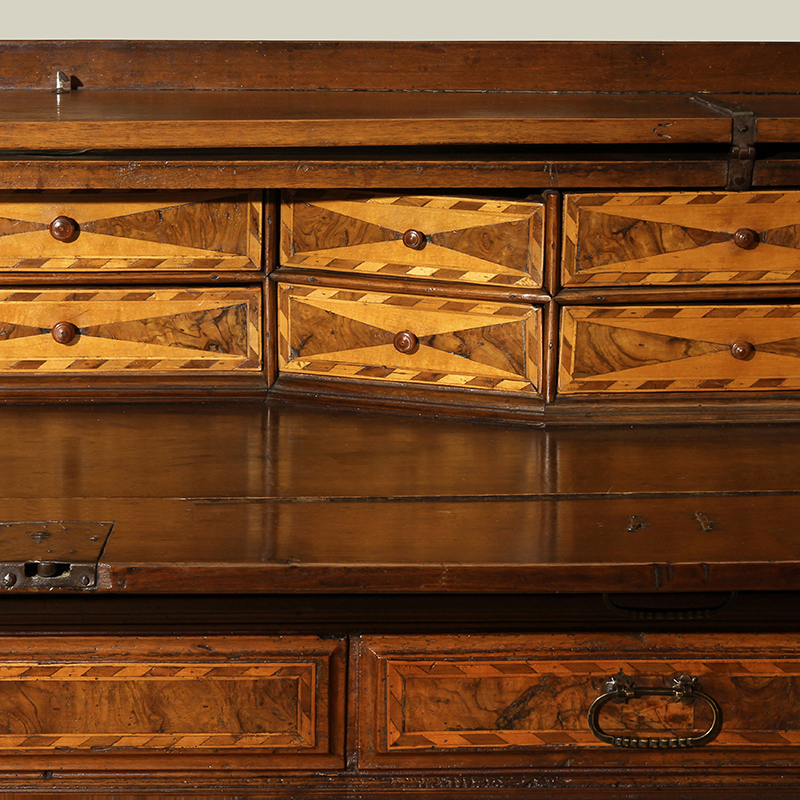 The whole inlaid with geometric patterns. 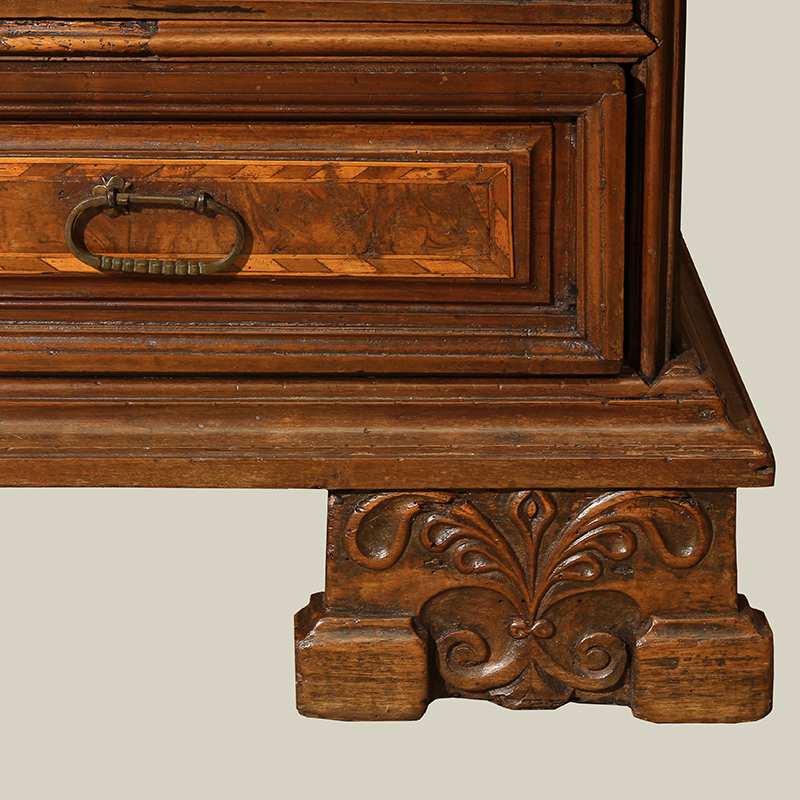 Circa 1720.